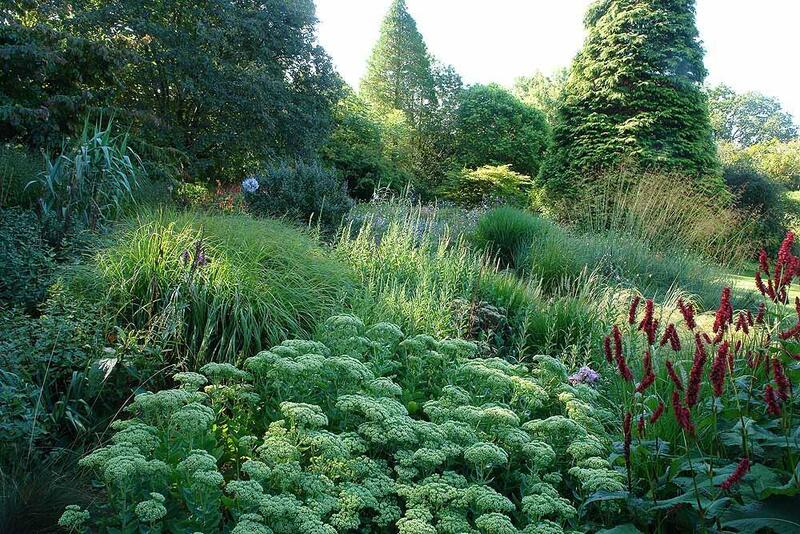 Knoll Gardens near Wimborne Minster in Dorset is a rare treat for garden lovers. Within its four acres you will find more than 5,000 plant species, including an unrivalled range of ornamental grasses. 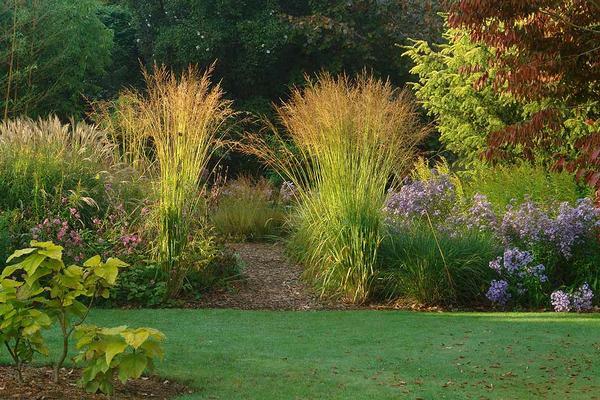 Designed in a naturalistic style, Knoll Gardens belongs to Neil Lucas - an acclaimed plantsman and the UK's leading specialist in ornamental grasses. 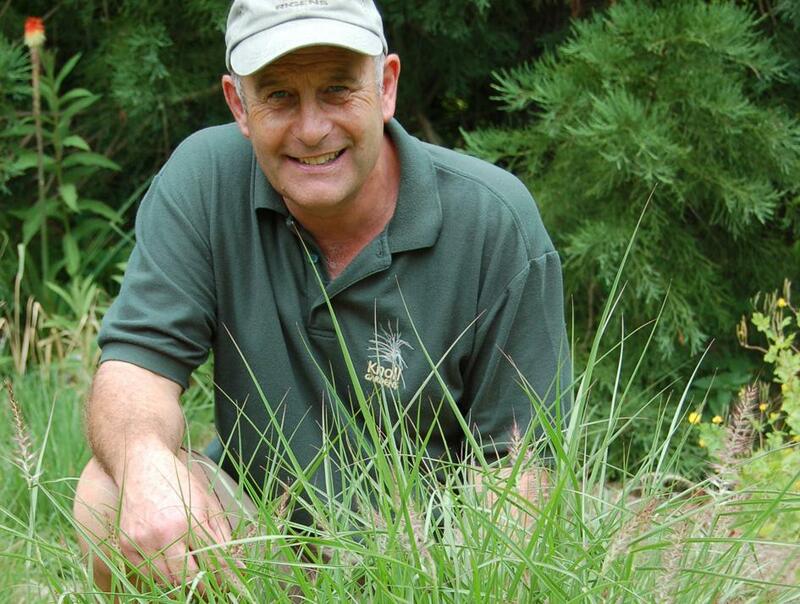 Visitors can enjoy the gardens on a number of different levels: Neil has created a quiet and tranquil garden, where you can simply wander and enjoy nature and the wildlife that the varied planting attracts. Keen gardeners will appreciate what has been achieved at Knoll Gardens at a deeper level, as it showcases so many different species of plants, they're sure to make many exciting new discoveries, as well as recognising some old botanical friends. 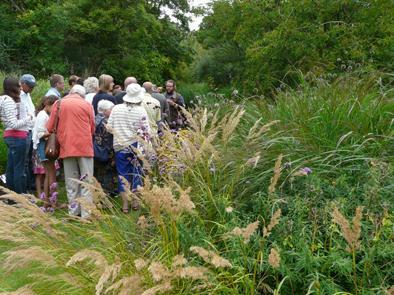 Meanwhile, people with a particular interest in Ornamental Grasses will find their Mecca at Knoll gardens, which is surely one of the best places in the country to see and enjoy the seemingly endless varieties of grasses, and the beautiful, sometimes spectacular effects that they can create within a garden. Knoll Gardens is a place that you'll want to return to again and again, because the enormous variety of plants on display means that it's always changing throughout the year, and also evolving from one year to the next - so no two visits are ever the same. The Mediterranean-style gravel garden, which has been featured in several national magazines. Fans will be interested to see how the California style of planting is being refined to suit smaller English Gardens. The Sunny Meadow, planted in 2013 takes its inspiration from nature and was planted without a formal plan. It looks spectacular at any time of year as produces lots of flower throughout the season. Current projects include a new meadow featuring sedges and low-level grasses which, once established will showcase the soft and beautiful foliage effects that these plants are known for. Guided walks through the gardens are also available, and if you visit on a Friday morning, you'll usually find volunteer guides who can offer information and practical advice. But it's not all grasses at Knoll - the gardens are also home to a wide range of trees and shrubs, many of which are quite unusual and rarely seen - in fact it's really a mini-arboretum. Look out for Eucalyptus, Silver Maple, Ginkgo Biloba and Willow Oak among others. The trees look wonderful at any time of year - but if you visit in the autumn, you'll be treated to a magnificent display of seasonal colour. Knoll Gardens is a kind of living workshop which showcases the plants available in the Chelsea Gold Medal-winning nursery which is also on site. If you're inspired by what you've seen in the gardens, you might want to try to recreate some of the magic at home. 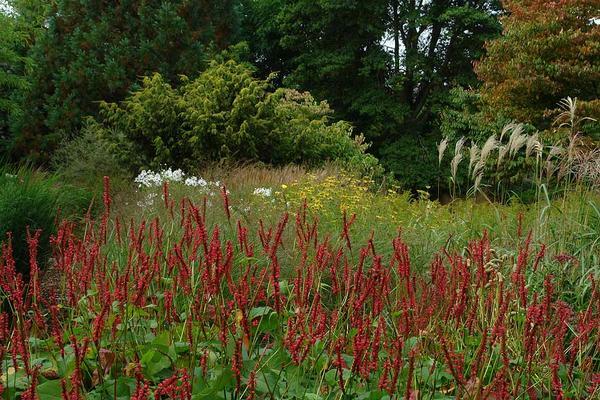 When you visit the nursery, you can choose from hundreds of the same ornamental grasses and flowering perennials you'll have seen showcased in the main garden, and get the best advice available anywhere on how to help them to thrive in your own garden. The experts at Knoll Gardens run a series of events and masterclasses aimed at helping gardeners improve their knowledge and skills. These include seasonal information - ideal if you'd like to learn more about all the wonderful plants growing in the gardens. Anyone who loves gardens, and the wildlife that thrives within them can't help but be captivated by a visit to Knoll Gardens at any time of year. In periods of adverse weather such as high winds, severe frost, or extreme rain the garden may be closed for safety reasons. No charge for admission to Nursery.